Select Mailing Envelopes No. 00, 5" x 10" No. 0, 6" x 10" No. 1, 7 1/4" x 12" No. 4, 9 1/2" x 14 1/2" No. 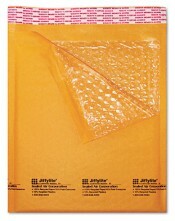 6, 12 1/2" x 19"
These padded mailing envelopes feature an air bubble lining to protect your goods in transit. Extremely light weight to reduce postage expense. Size 00 and size 0 envelopes will hold about two average size stamps, size 1 will hold about four stamps, size 4 will hold about six and size 6 will hold eight or more. 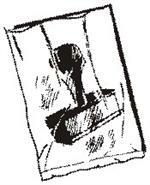 Suitable for almost any shipping method.